Abbey Saunders was born and raised near Saratoga Springs, and still calls the area home. 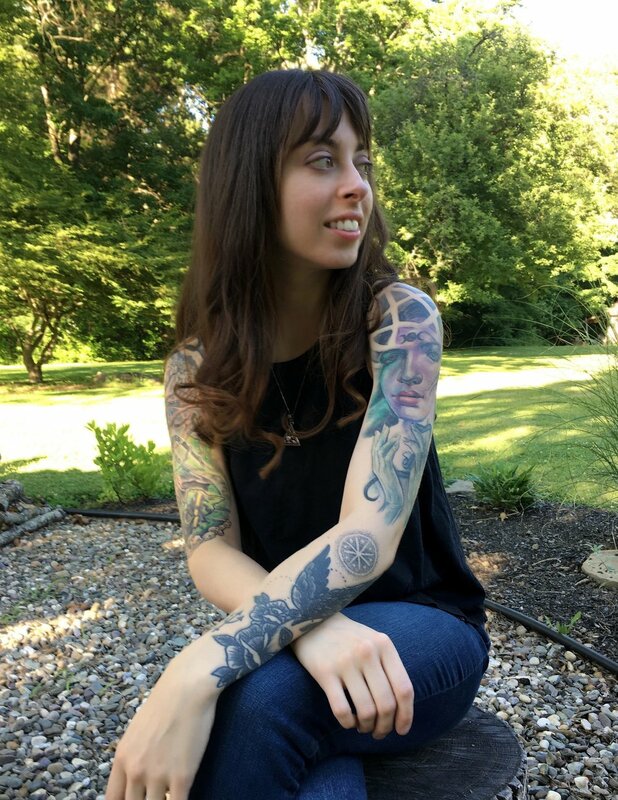 Tattooing since 2014, she specializes in custom blackwork and colorful botanical tattoos. Some themes that inspire her are herbalism and botany, mythology and theology, spell craft and the esoteric. She earned a BFA from Sage College of Albany in 2009, where she furthered her skills in oil, acrylic, and watercolor painting. Her fine arts education continues to fuel her understanding of design and composition in both tattooing and painting.